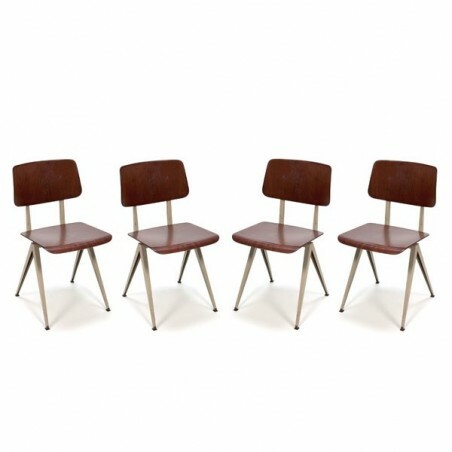 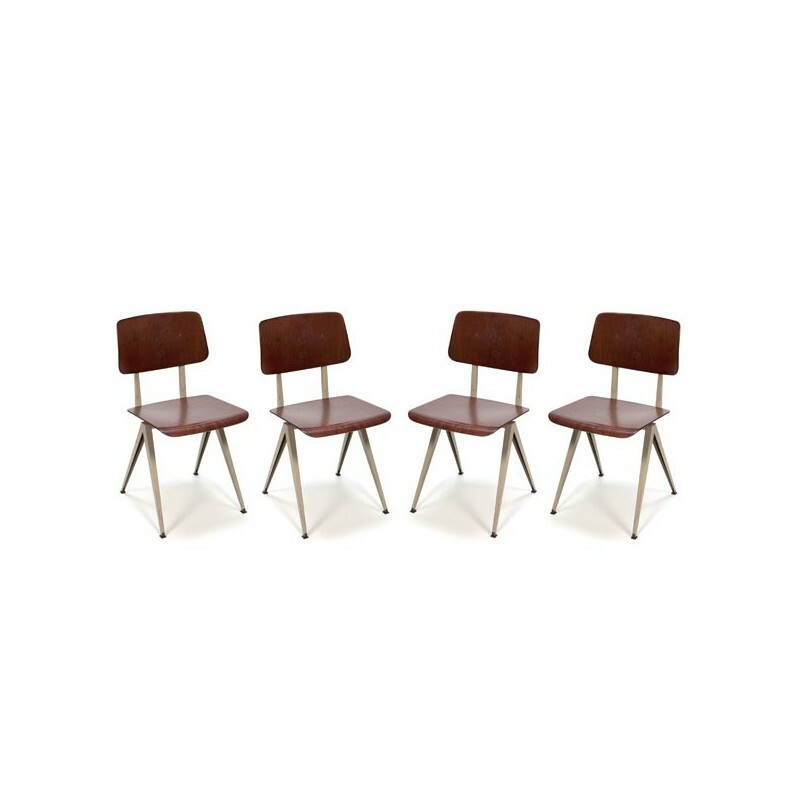 Set of 4 industrial chairs brand Galvanitas (Dutch). 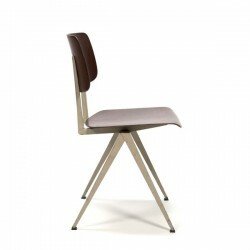 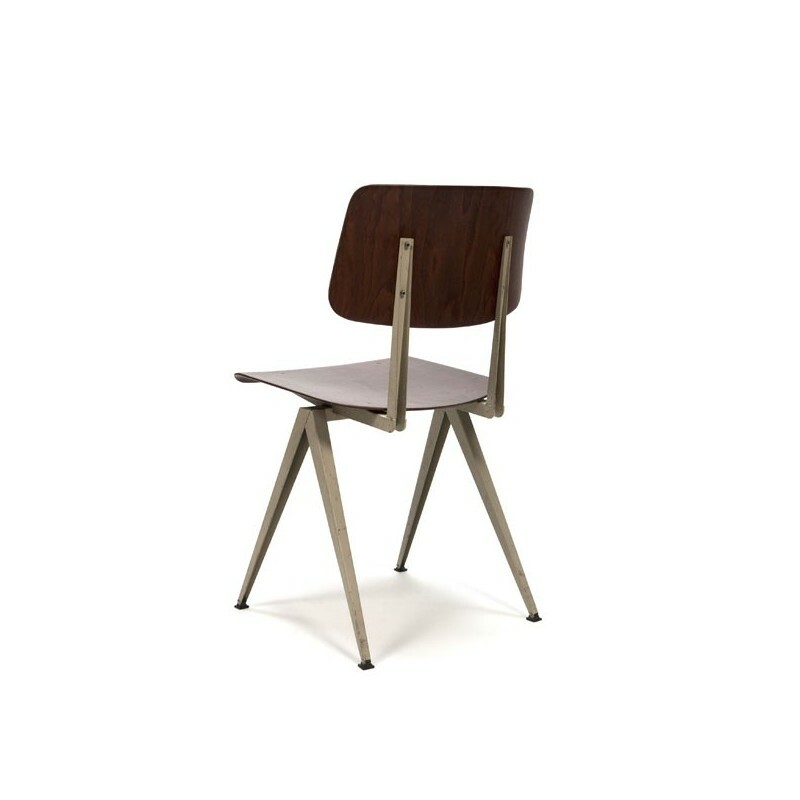 The design is derived from the Result chair by Friso Kramer. 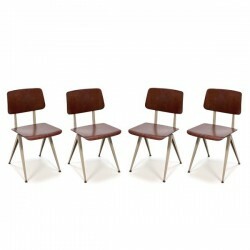 The chairs have a pressed wooden seat and a metal frame. 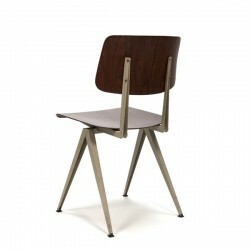 The condition is good considering the age, light wear, see detailed pictures. 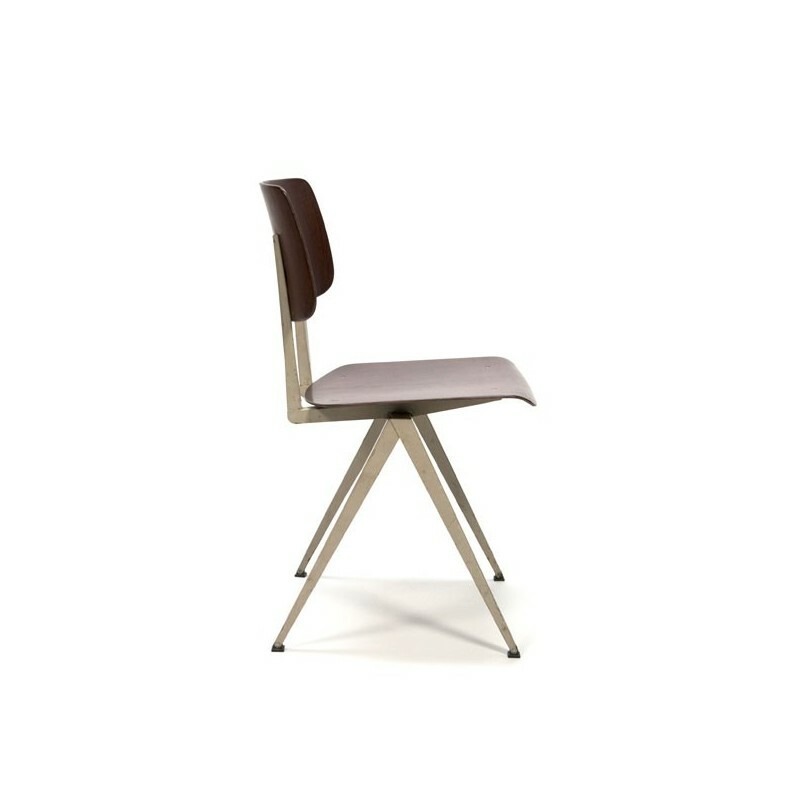 The size is 46.5 cm SH / H 80.5 cm / 40.5 cm W.